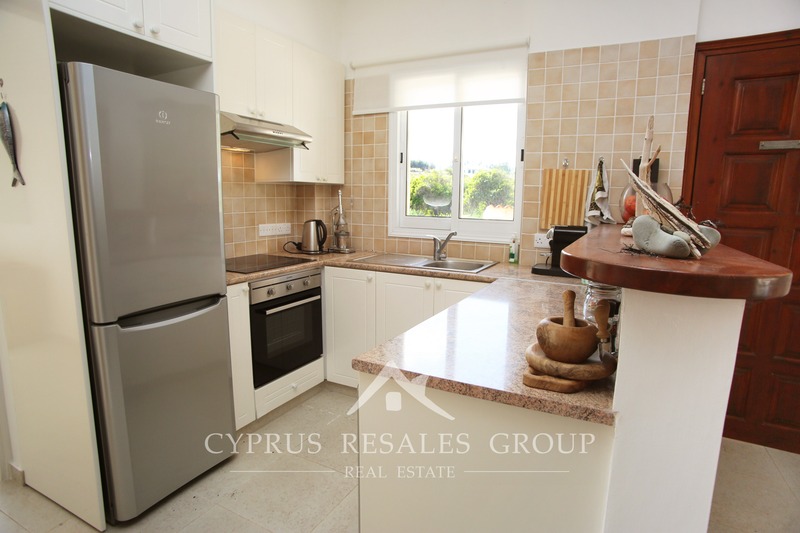 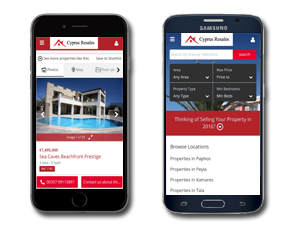 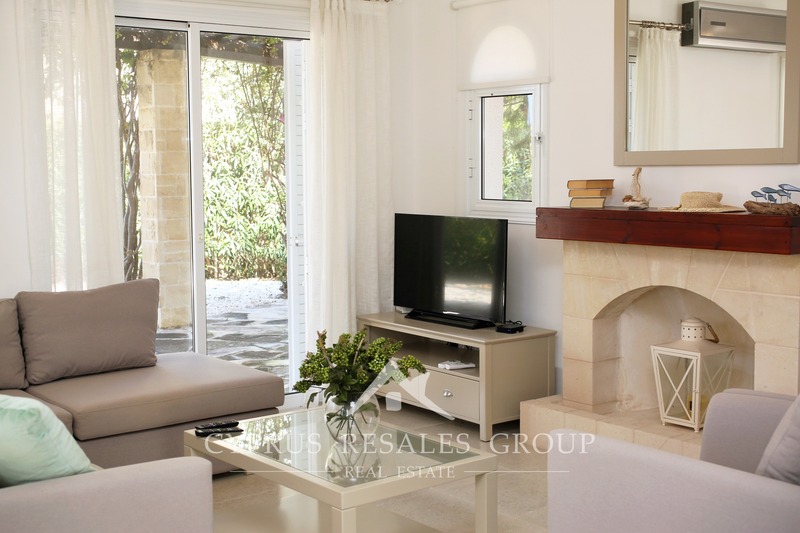 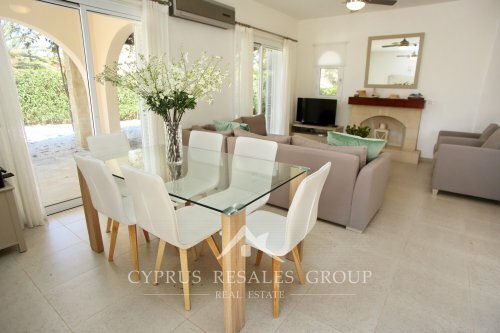 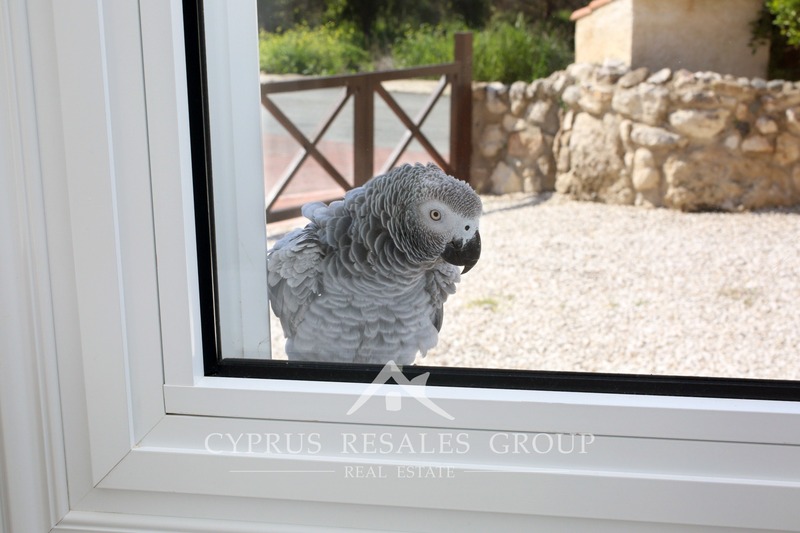 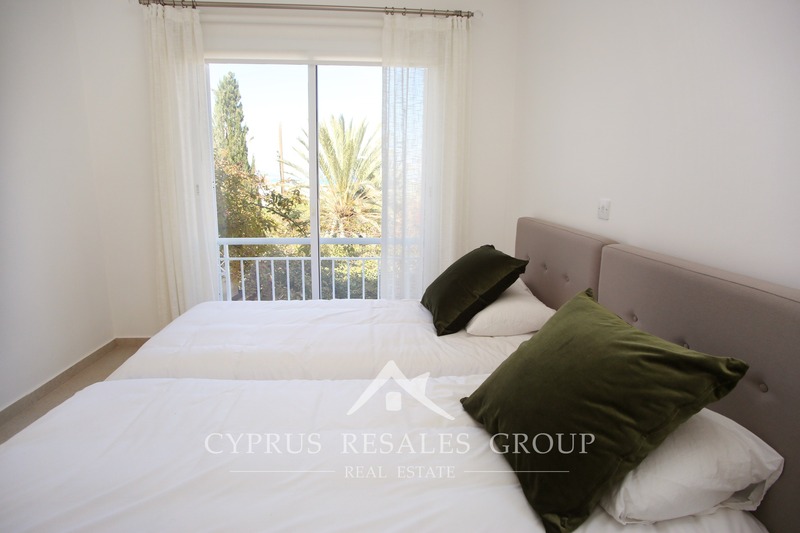 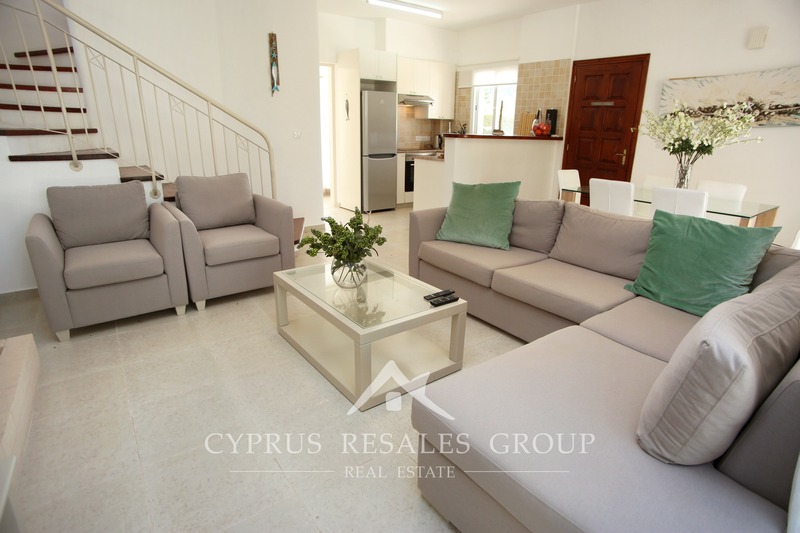 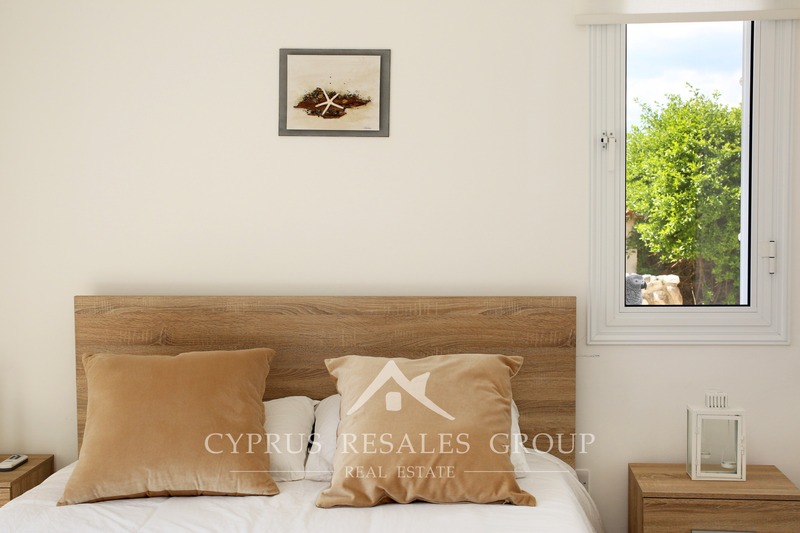 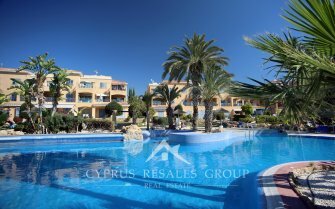 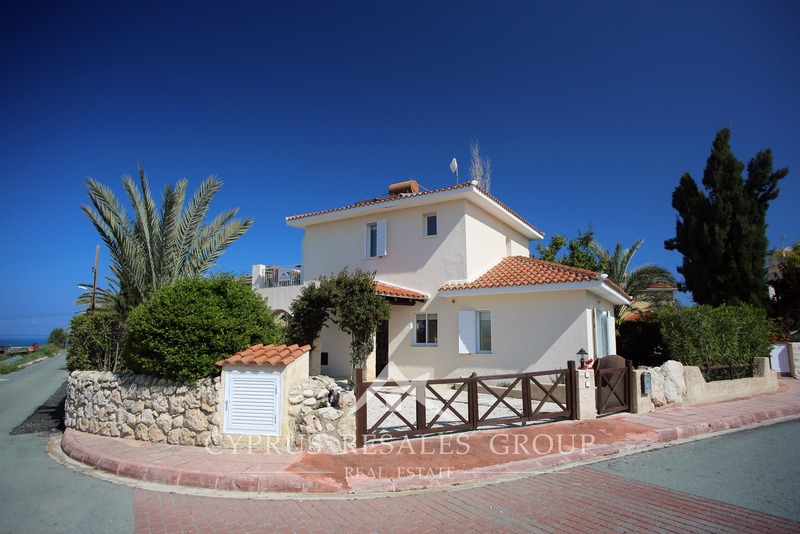 Are you in the market for a property on one of the best sandy beaches in Cyprus? 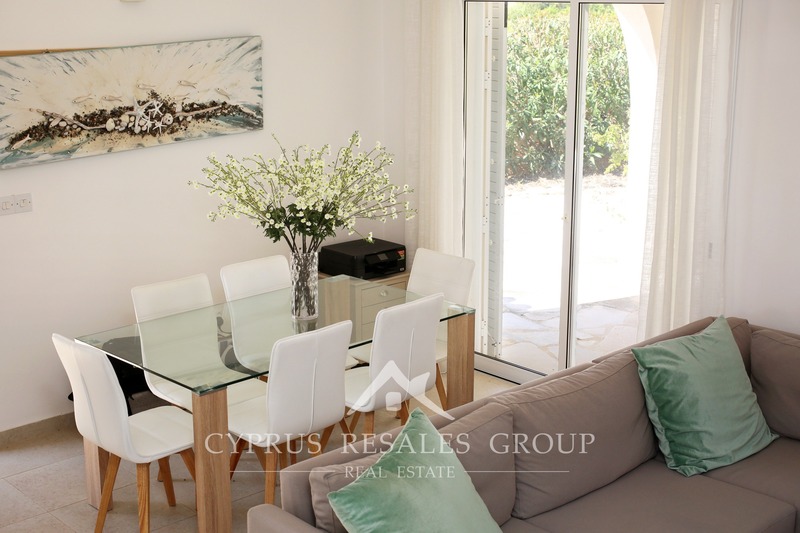 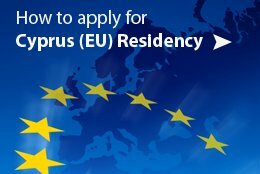 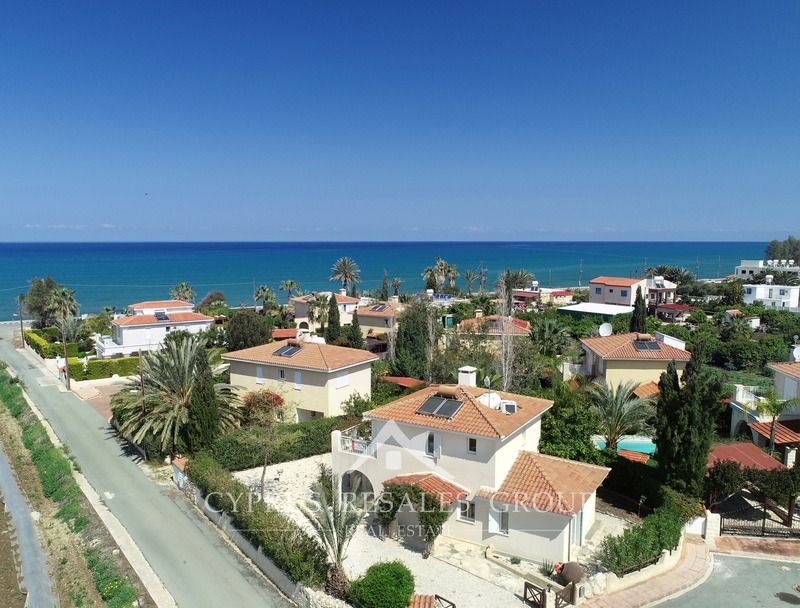 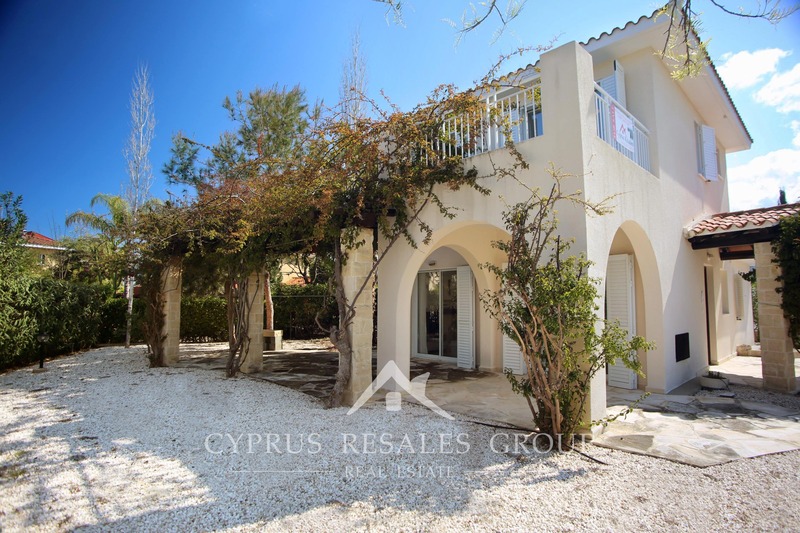 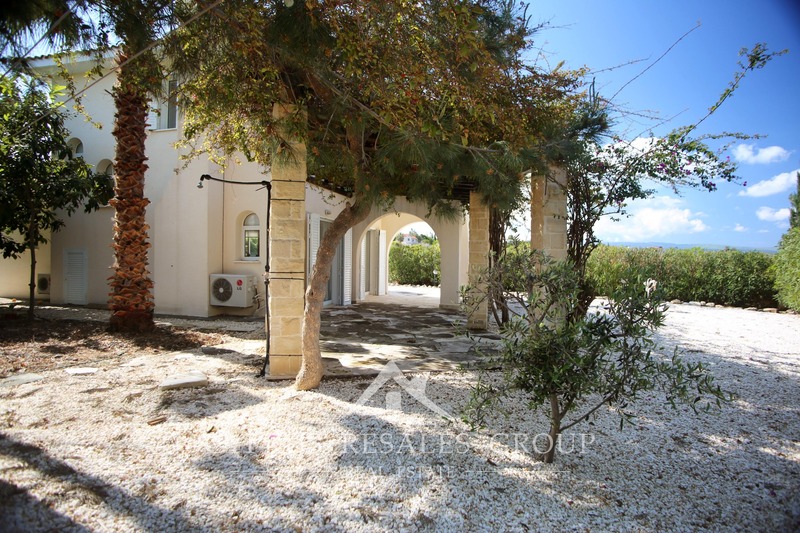 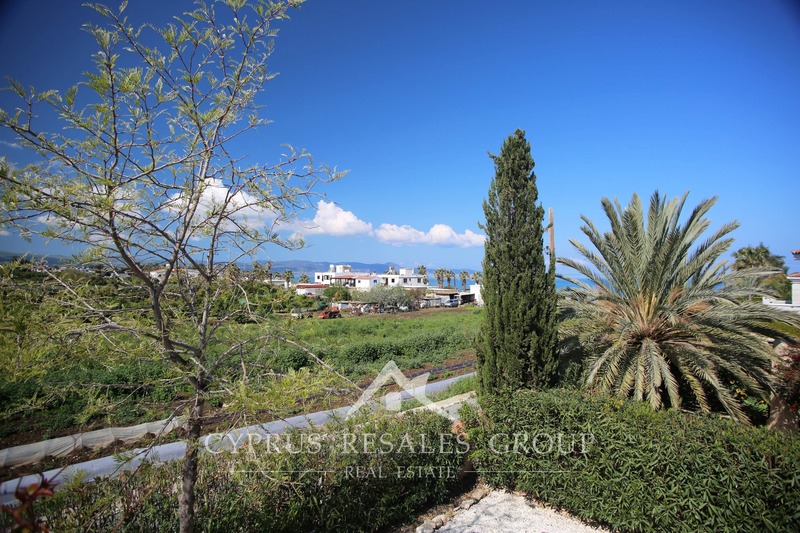 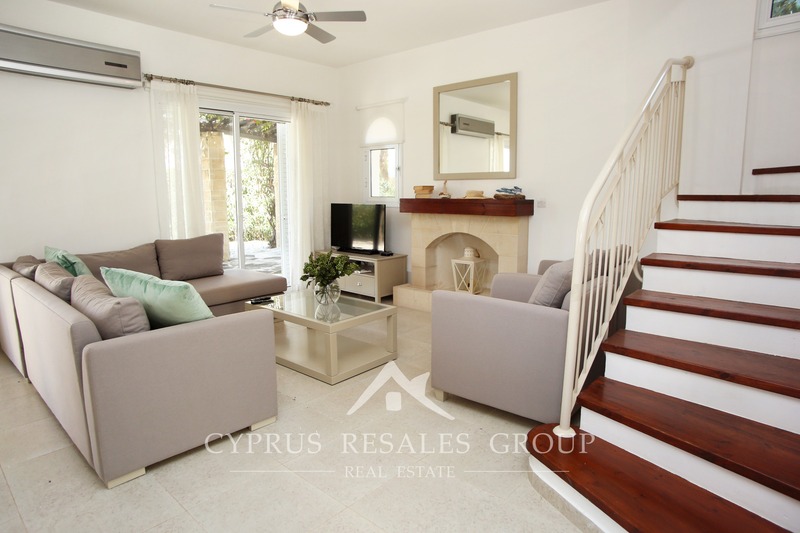 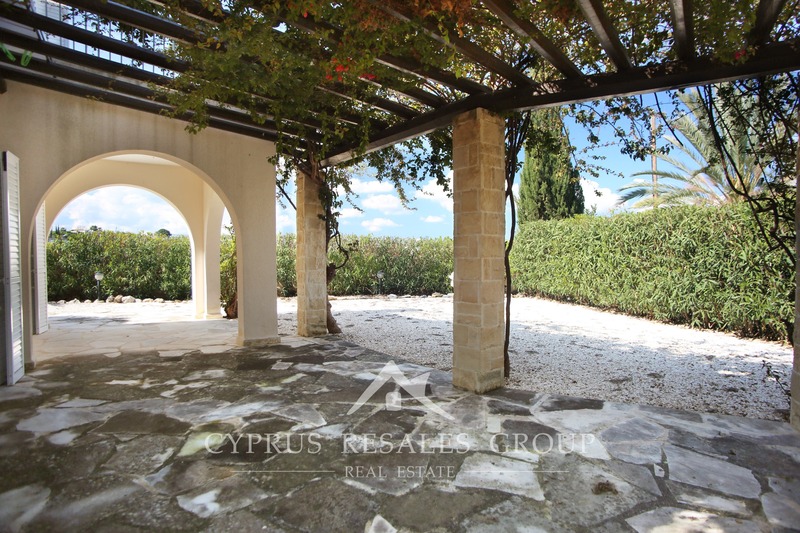 If the top of your requirements’ list is an oasis-like setting for your ideal villa within one of the best coastal villages in Cyprus then read on! 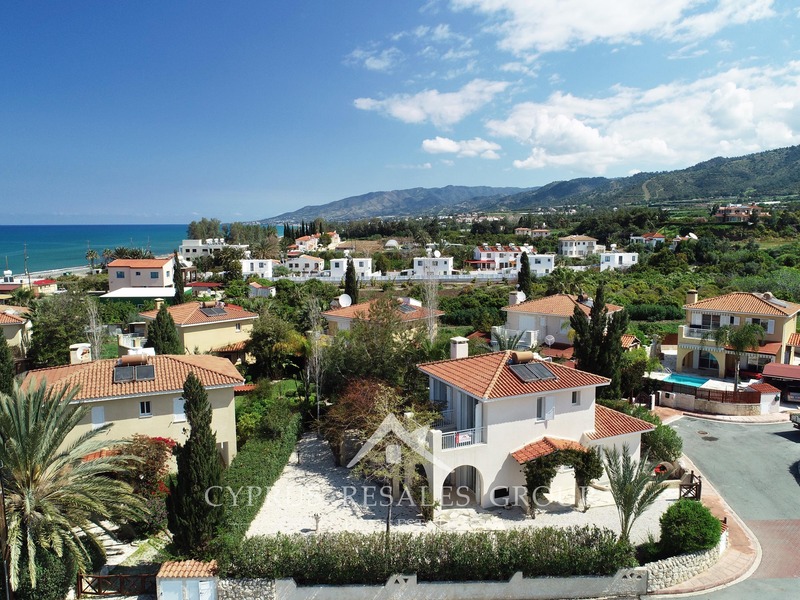 Argaka Beach Villas build by renowned developer Leptos Estates sits in the very center of Argaka Village, only a few kilometers outside Polis town. 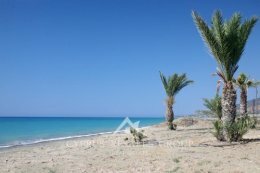 The entire settlement of Argaka stretches along a picturesque coast between the national forest on the hills to one side and white sandy beaches and crystal-clear water to the other. 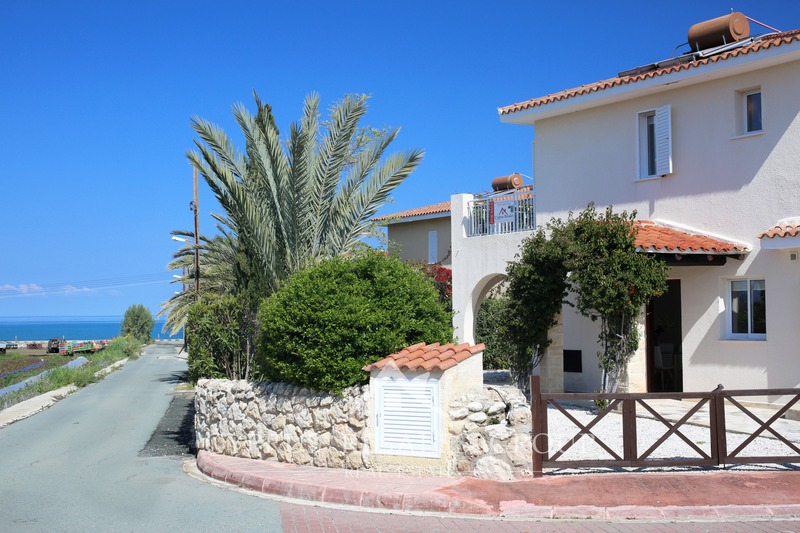 The palm-lined paths that follow the road will have you thinking more Malibu, California than Cyprus. 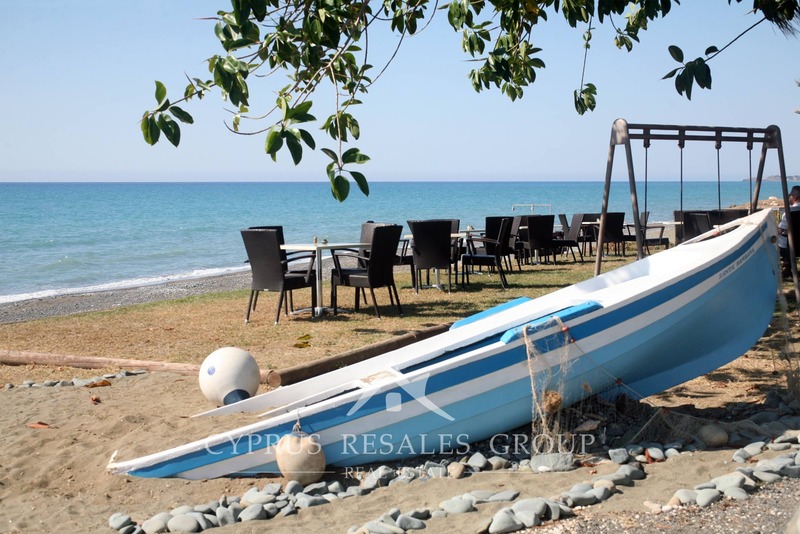 The coastal bars and restaurants that are dotted throughout Argaka and attract people from all over Cyprus will become your “local”. 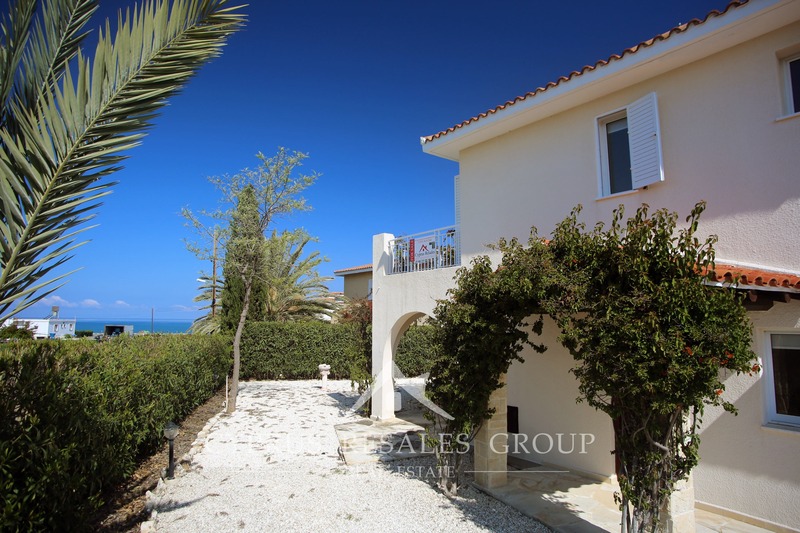 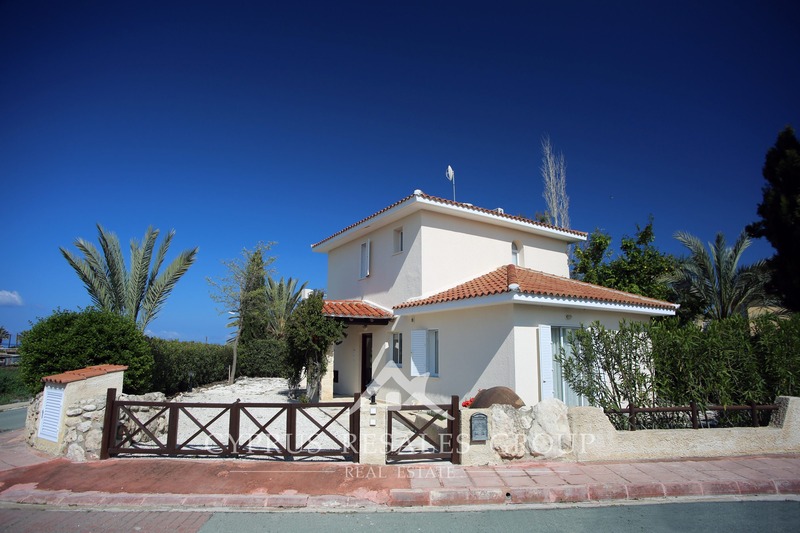 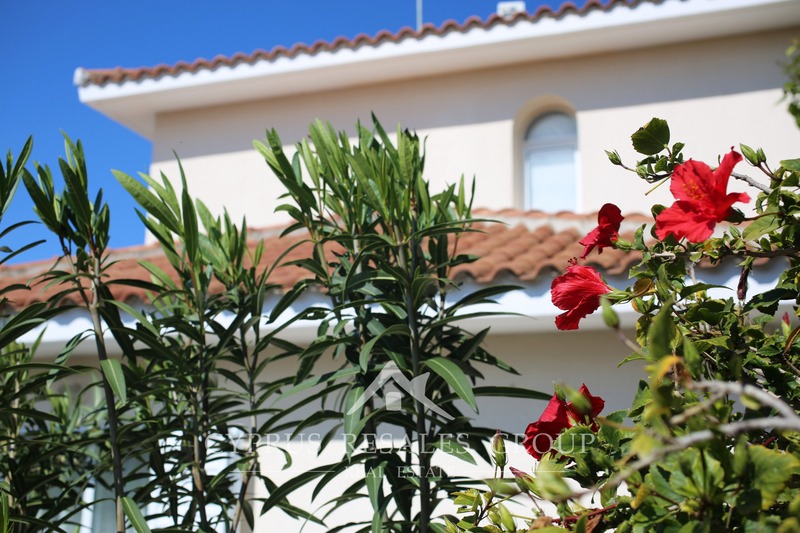 This villa is located just over 100 meters from the beachcomber's dream that is Argaka beach. 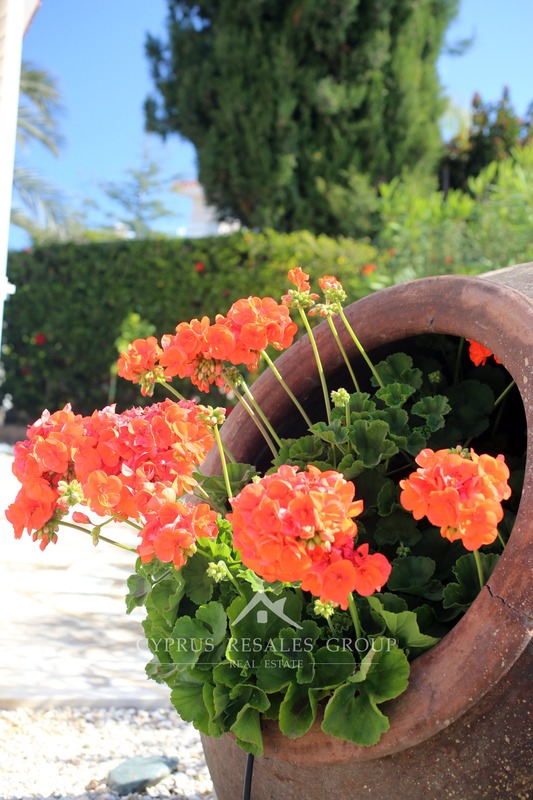 Natural stone and terracotta red roof tiles combine with the earthly colored walls to make what is a harmoniously designed project on the sea. 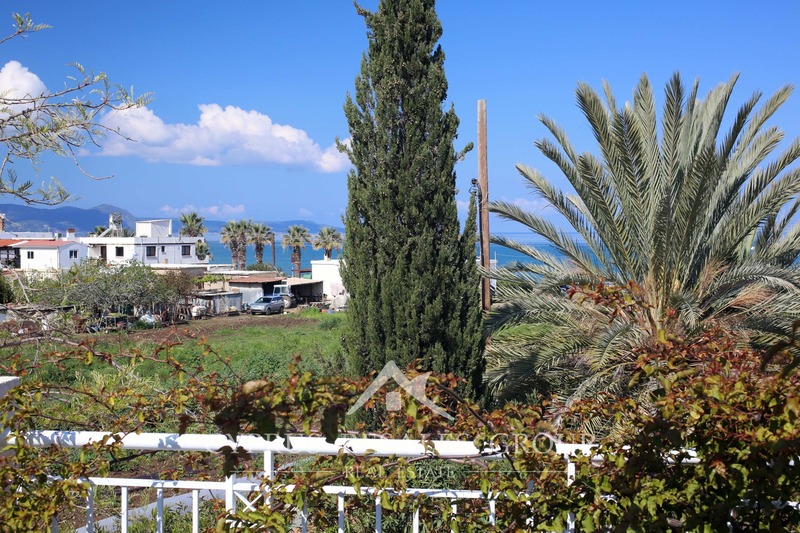 The exotic plants and palm trees (and visiting Parrot!) 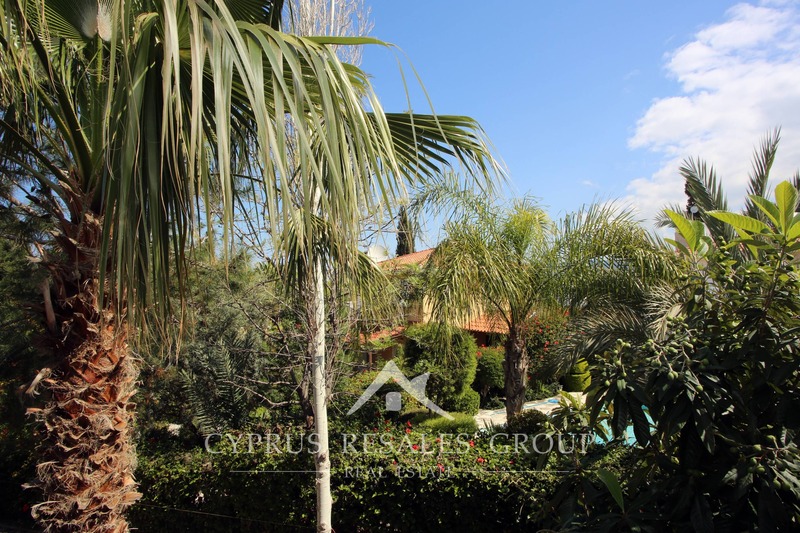 further enhance the great vibes that come from this location and this particular property. 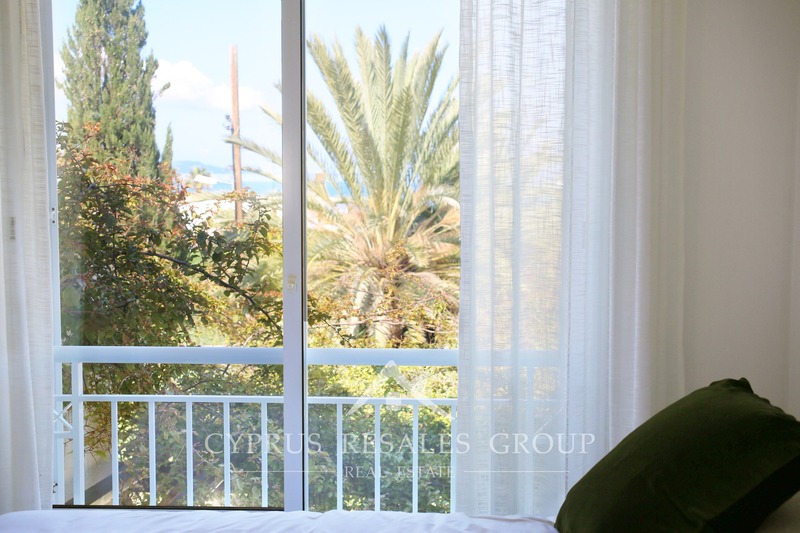 Vibes that you can’t help but be charmed by once you step inside. 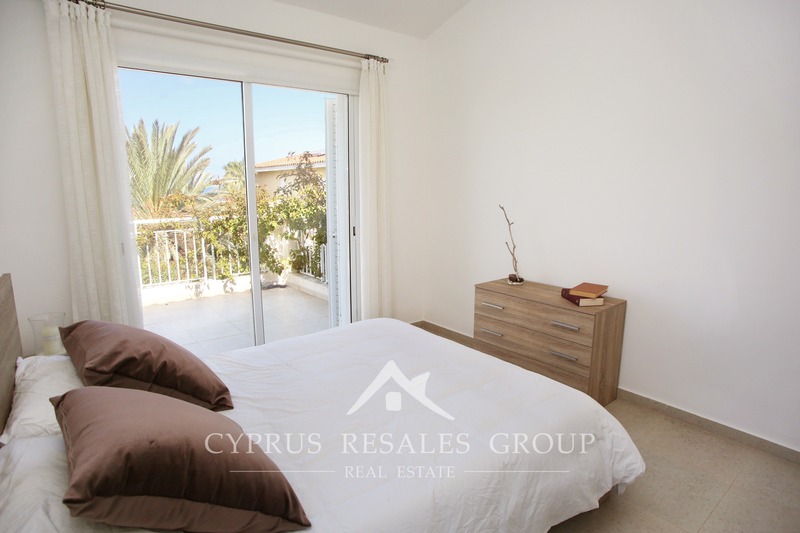 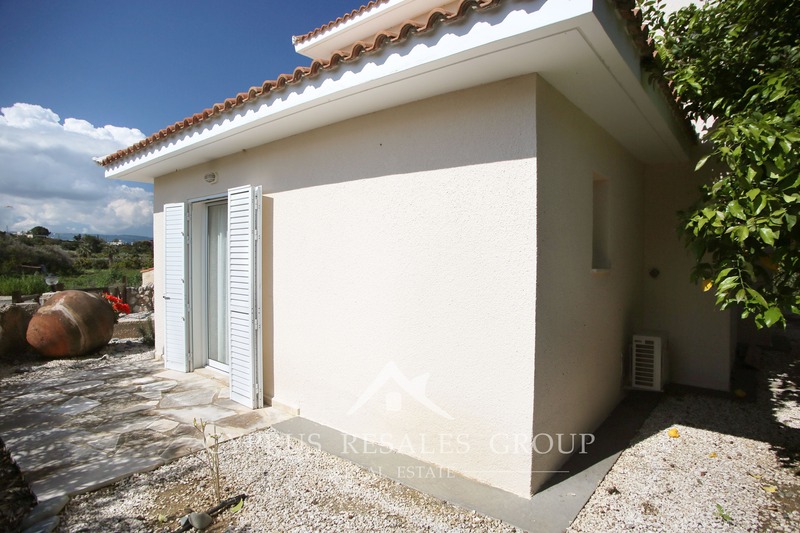 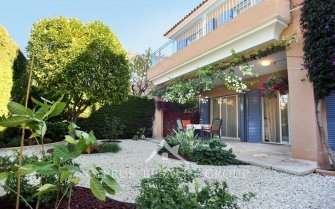 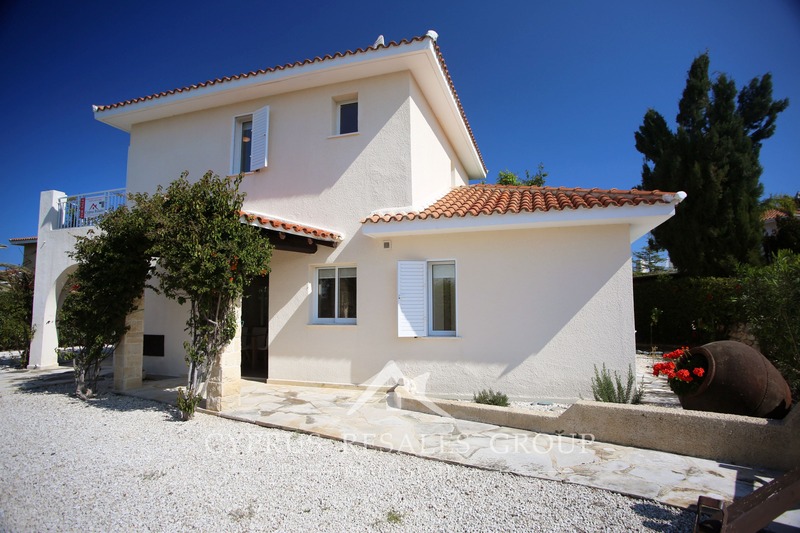 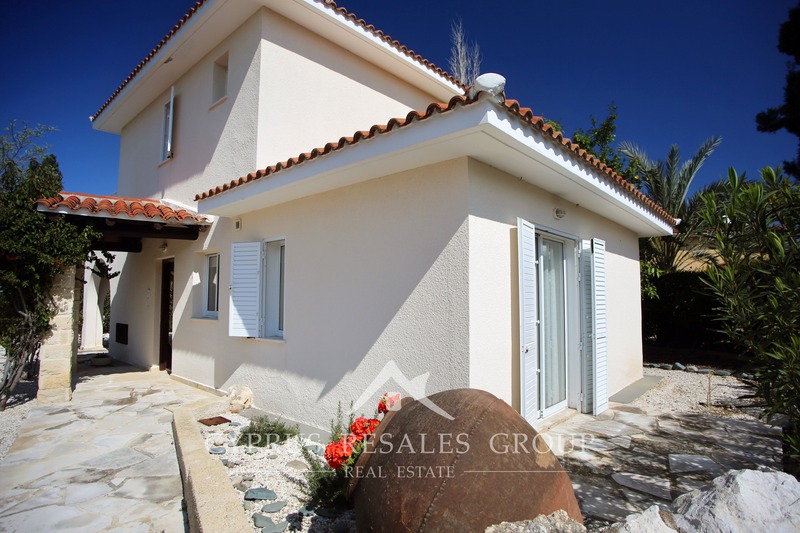 This Argaka villa has a very useful configuration where the master bedroom with an en-suite shower is conveniently located on the ground floor. 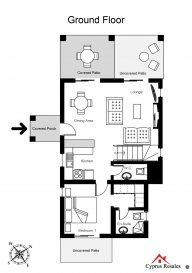 The living room and dining room are further augmented by a large patio area that is partly covered for refreshing shade. 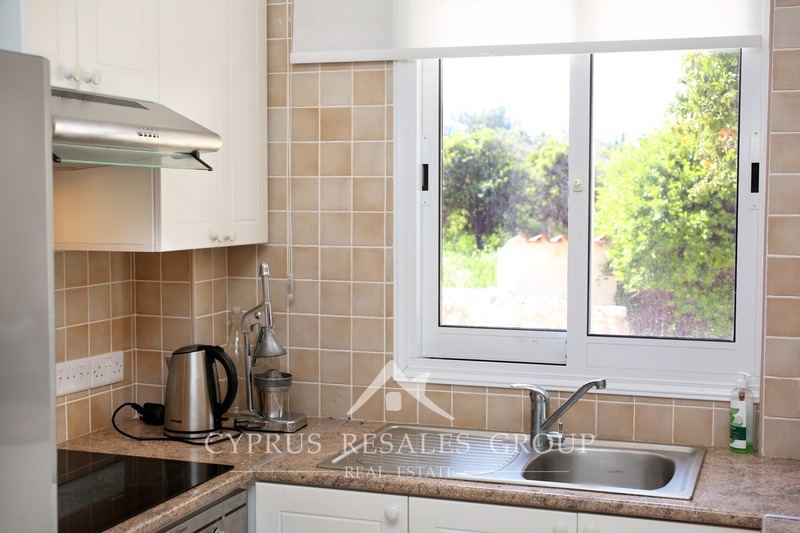 The galley style kitchen has a useful breakfast bar covered with dark wood matching the traditional style of the villa. 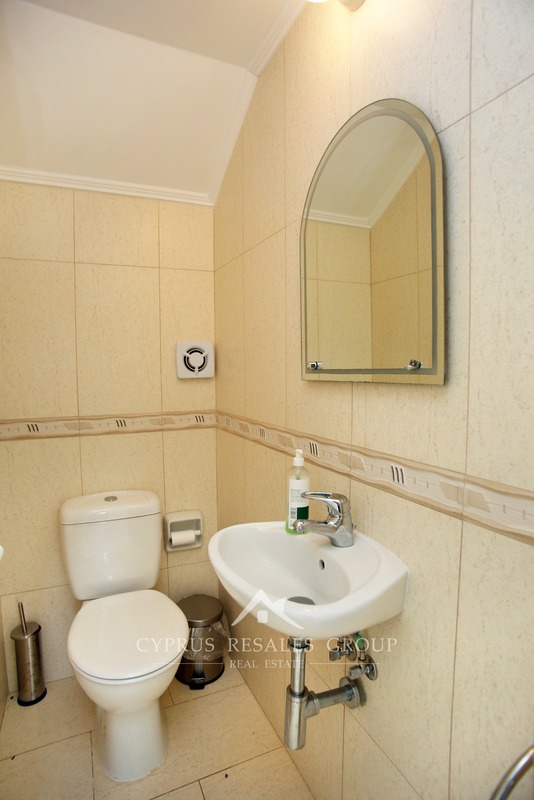 Practical guest WC completes the ground floor. 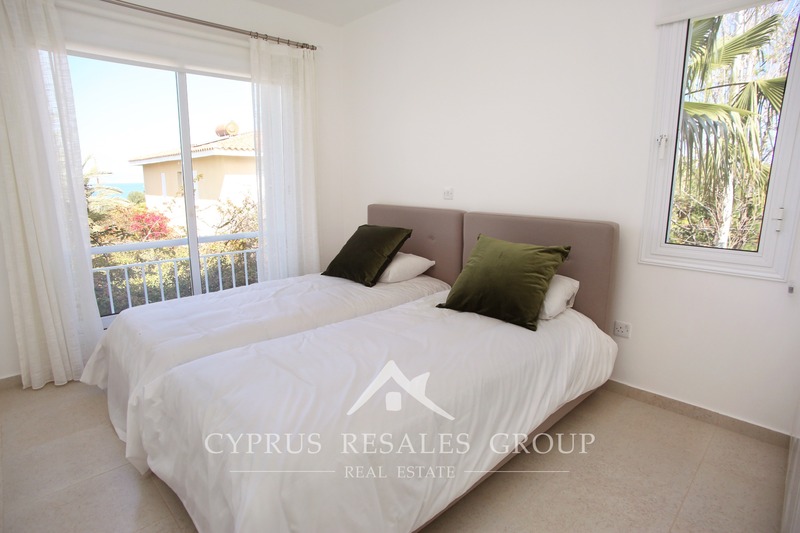 Two additional double bedrooms on the 1st floor share a full-size bathroom. 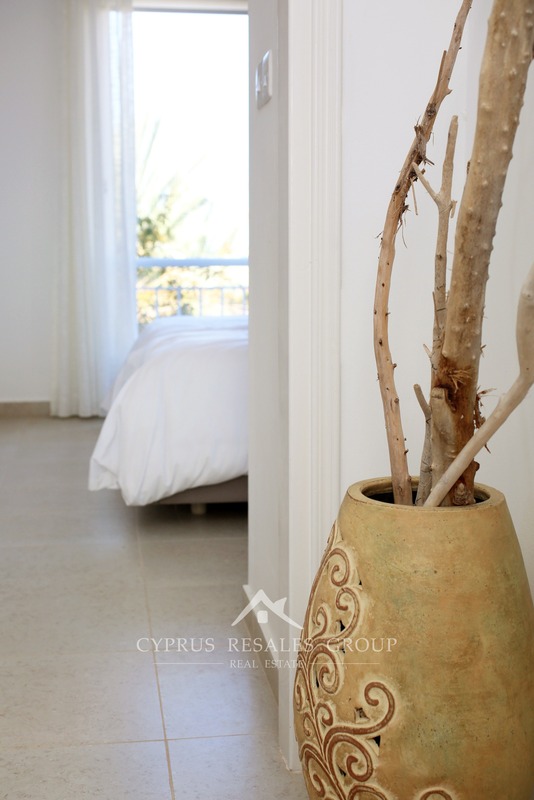 One of the bedrooms benefits access to a private sea-facing veranda. 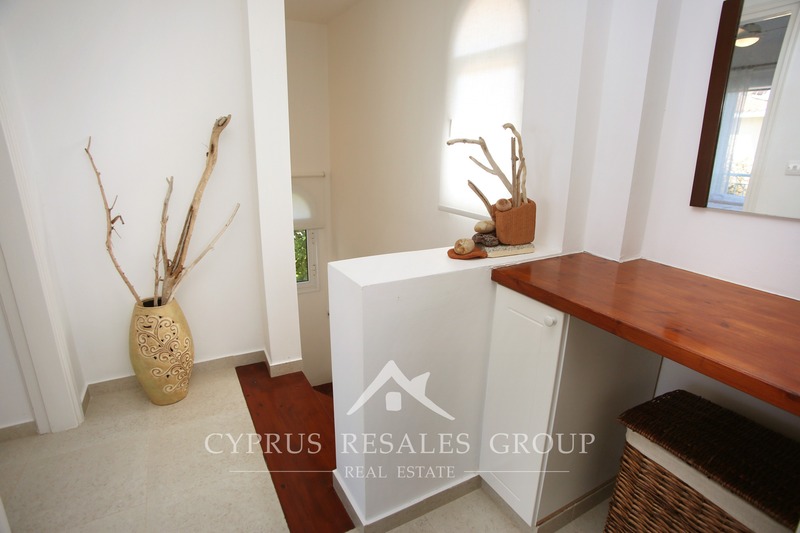 All three bedrooms have ample built-in storage.